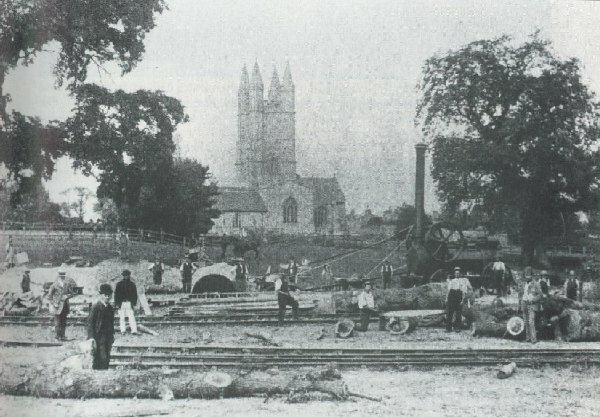 Cricklade station site being built in 1883. St Sampson's church is in the background. A photograph, at this angle, as it is today can be found in the 'Moredon to Cricklade as it is now' area of the site.